I don't know if I'll ever make it to Tunisia. Honestly, it's not a country that appears anywhere on my "bucket list", but those little corners where Star Wars: Episode IV was filmed back in 1976 do tend to fascinate me. "...These treasures had apparently remained unmolested for two decades because no one actually went looking for them and the Tunisians didn't much care, at least at that time." 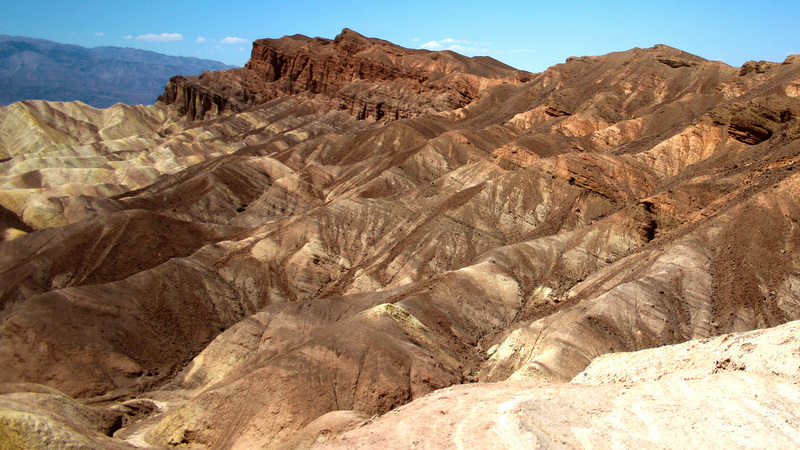 If Tunisia's too far, the Tatooine film sites in Death Valley may be more accessible. These buildings at Ong Jemel were used in the second Star Wars triology. With little maintenance, many of the Tunisian sets are falling into disrepair. If memory serves, the first time I read about the Tunisian sites was in a magazine article sometime in the 1990s. 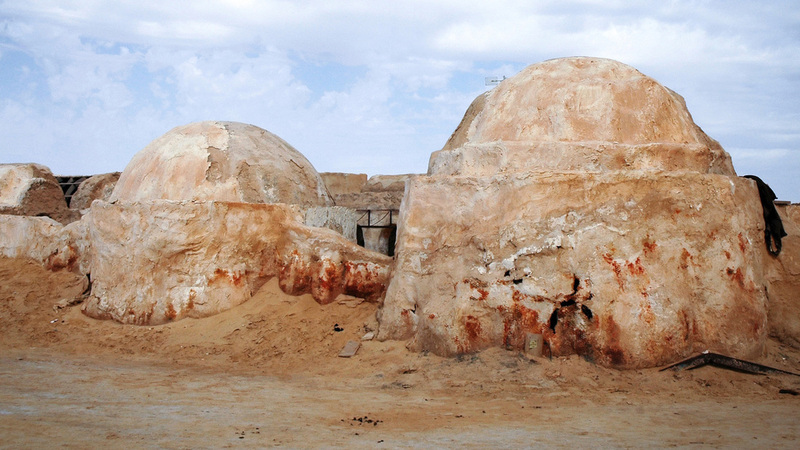 The notion that original Star Wars props and locations — many of which were either pre-existing structures or simply abandoned when the film crew left the country — were still out there was intoxicating. According to the article as I recall it, these treasures had apparently remained unmolested for two decades because no one actually went looking for them and the Tunisians didn't much care, at least at that time. ​One of the earliest online references I could find to the sites is from an archaeologist named Dr. Michael J. Ryan who wrote that he and colleague "relocated" all of the film locations in 1995. Intrigued if Dr. Ryan was perhaps among the first to publicize these forgotten treasures (and maybe even authored the article I recalled reading in the 90s), I wrote to him at the Cleveland Museum of Natural History where he is the Curator of Vertebrate Paleontology. He responded promptly and confirmed that he and his colleague, Dr. David Reynolds, an archaeologist with the Phaeton Group, had indeed been the first to find and publicize the Star Wars ruins. In December 2000, Dr. Reynolds published "Return To Tatooine" in an issue of Star Wars Insider and it was undoubtedly this article which first piqued by interest in the Tunisian sites. Well, not just mine. It's probably fair to credit Drs. Ryan and Reynolds with igniting the entire Tunisian Star Wars tourist industry. Although Dr. Ryan wrote that the duo had shot lots of video and kept detailed diaries of the trip, I found precious little about it online. Reynold's Star Wars Insider article has proven elusive and Dr. Ryan's blog contains a single yet intriguing photo of the so-called Krayt Dragon bones at found in 1995. As you may recall from the film, these are the reptilian relics you see strewn across a sand dune just before C-3PO is captured by the Jawas. As it turns out, this most iconic of icons wasn't actually a Star Wars prop at all. It was a recycled fiberglass model from the Disney movie One of Our Dinosaurs Is Missing. You can get a good look at the model (or something similar at least) in the trailer below. Whatever happened to the Krayt Dragon skeleton is anyone's guess. Apparently George Lucas and his minions found it in situ while filming Star Wars Episode II: Attack of the Clones in June 2000. Amazingly it had survived a quarter century beneath the Saharan sun — but what's become of it since? Certainly some of the bones have been lost to the shifting sands desert; and probably even more have been spirited away by souvenir hunters. Some enterprising folk are selling fiberglass sherds they claim are from the model for hundreds, even thousands of dollars. Presumably they're authentic, but how the hell would you know, right? Once the Tunisian sites were rediscovered by Drs. Ryan and Reynolds, it was perhaps natural that fans would desire a pilgramages of their own. And who could blame them? 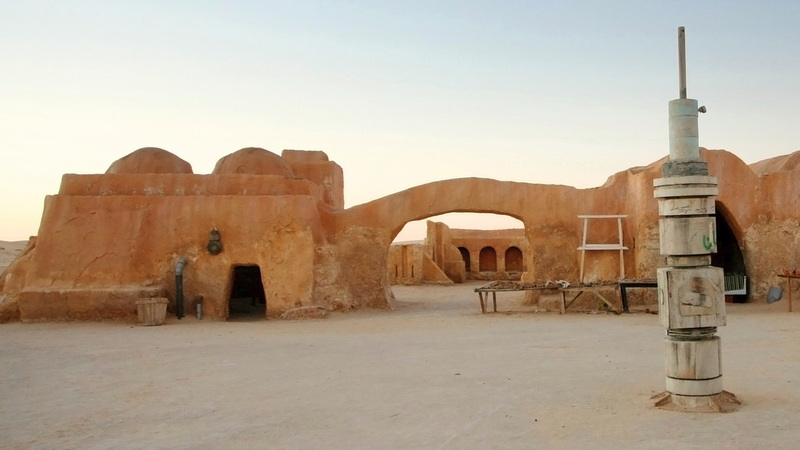 After all, Tunisia represented Tatooine, the first planet seen in the very first movie ever. The home of Luke Skywalker. The base of operations for both Han Solo and Jabba the Hutt. The hiding place for an "old wizard" named Ben Kenobi. The site where Boba Fett bit the big one — presumably.